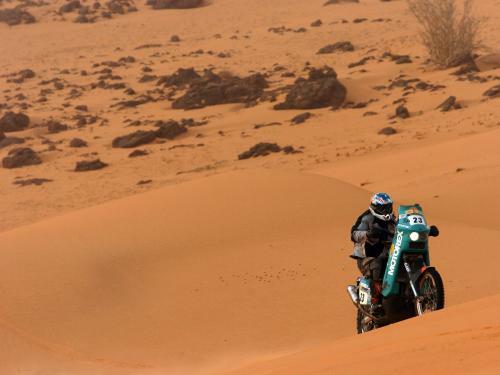 The Dakar is over for another year. SBS has probably had its share of rating from my house for the year. I probably wont watch it much for the rest of the year. 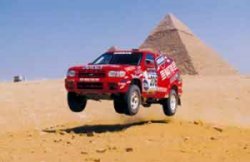 Congratulations to Luc Alphand who won the bike race, Marc Coma who won the car race in his Mitsubishi Pajero, and Vladimir Chagin who won the truck race. 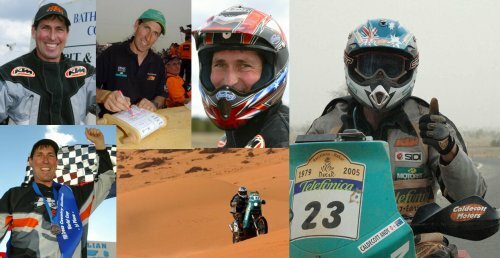 Andy Caldecott has been killed in the 9th stage of the DAKAR rally. Andy was a great rider, and it was a real pleasure seeing him mix it up with the world´s best. Hey - Its the third DAKAR stage today, and Andy Caldecott has been victorious - go the Aussie!!! He´s riding for KTM this year - and its great to see him back over there - he´s a great rider. Hey - it´s finally on again!!! The DAKAR Rally has started. 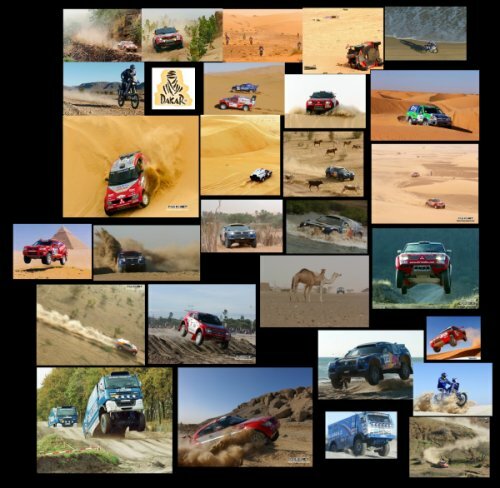 I love this rally - its the best sporting event of the year, and its also the first one - it starts on New Years Day. So it started yesterday. I thought I´d show this off - because I think its really cool. I got it about a week ago, but this is the first time I´ve had the camera and been able to take a photo of it. Its a DALEK from England. Tommy (a friend of mine) sent it down when he was up there for a while. I think its great, and you cant get them down here (at least not that I´ve found). 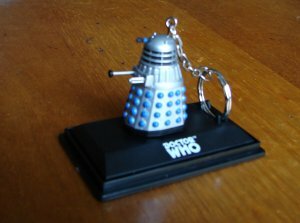 It´s a keyring, but I think I´ll just keep it as a collectable.